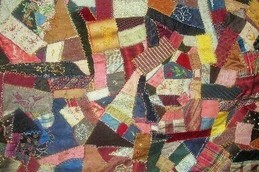 Who doesn't admire vintage quilts made with lush silks and velvets in beautifully gently fading colors? 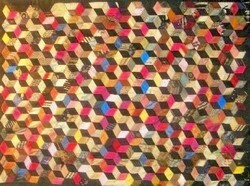 These two quilts belong to my sister-in-law in Chicago and I am guilty of the sin of coveting !!!! Georgetown University Hospital treated Lt. Col. Brian Birdwell, an Army officer severely burned in the 9/11 attack on the Pentagon. His wife, Mel, made a quilt to say thank you. 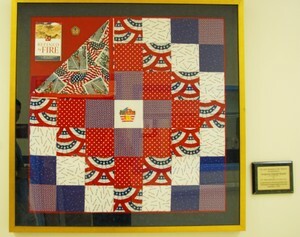 This remembreace quilt is hanging in the entrance, near the waiting room, along with a plaque and a copy of the book Mel and Brian wrote, "Face the Fire." 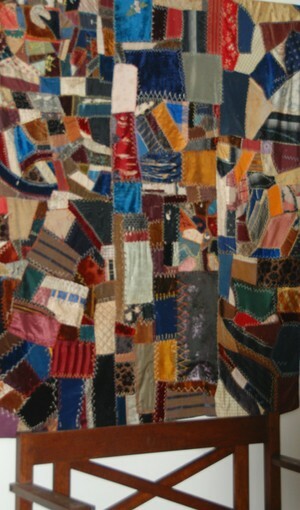 I did not sew this quilt, but got a great deal on it at a house sale in Highland Park, Illinois. It needed some care, so I patched a silk piece with a vintage tie, and sewed up some velvet that was flapping off. Who knows what that did to the value of the quilt but I have it hanging in one piece in front of our Stickley bench and I feel happy and inspired whenever I look at it! 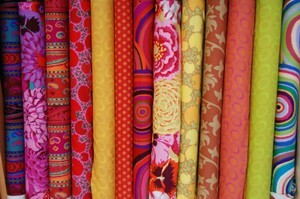 More Kaffe Fassett and pals..
Amy Butler Nigela is so pretty that I would love to use it for curtains. I went back to clothandbobbin in Narberth, PA and bought a trial yard. 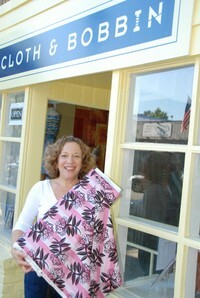 A beautiful, spacious fabric shop just opened in downtown Narberth, PA. Friendly and interesting store owner, Johanna Hertz gave me a tour of her shop. She carries lots of Amy Butler, Kaffe Fassett, Joel Dewberry and poka dots and stripes oh, my! And batiks, yes! 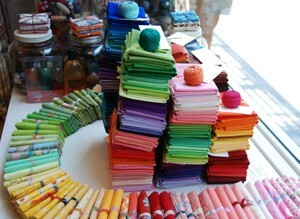 Pretty fabric display at Purl in NY. A nice but tiny, tiny store.